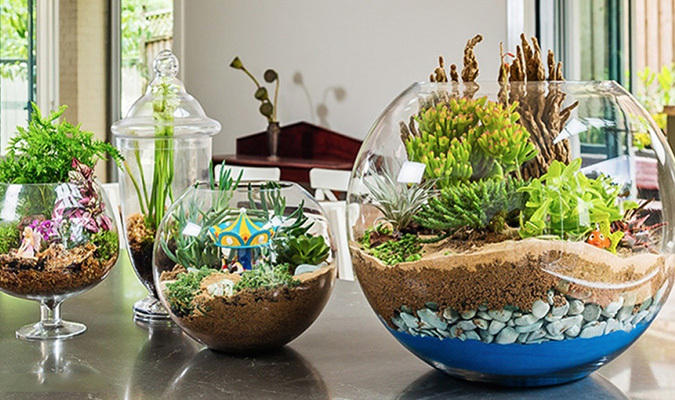 While creating a miniature garden at home may seem a tricky task, with a little bit of creativity and patience you will be able to make an absolutely wonderful terrarium in no time at all. We will tell you how to create and maintain your own green masterpiece. Simply follow these instructions, and you will see how easy it is to make and enjoy these miniature ecosystems.